This steroid is highly popular in the athletes and bodybuilding industry due to several benefits. This popular anabolic steroid offers Benefits of Trenbolone Acetate and also leads to increase in muscle density, hardness and dryness. It is also a popular strength and performance enhancer. It is one of the best steroids for gaining muscle. It also helps in fat loss. This steroid is also well known due to enhancement in aggression and assertiveness. Trenbolone Acetate also enhances the blood circulation. 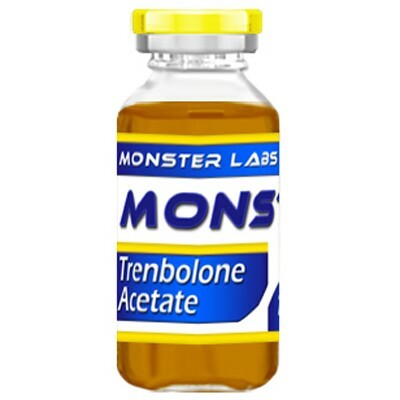 Trenbolone Acetate behaves like other anabolic steroids. This steroid improves your body’s ability to produce protein and it helps your muscle tissue maintain more nitrogen. When your body is able to produce proteins more quickly and when the building blocks for those proteins are available in great quantity, it will lead to enhanced muscle growth. Furthermore, Trenbolone Acetate also promotes insulin-like growth factor, which leads to repairing and rejuvenating tissues in the body. It also improves red blood count considerably; with more red blood cells, you can oxygenate your muscles and offer them a comfortable environment for growth. Description: Trenbolone Acetate is one of the most popular synthetic injectable anabolic steroids for mass gain, strength gain and athletic performance. Generally, Trenbolone can be obtained in three different esterified variants i.e. Trenbolone Acetate, Trenbolone Enanthate, and Trenbolone Cyclohexylmethylcarbonate. Trenbolone is basically derived from the anabolic steroid nandrolone but it has no estrogenic property. This compound is the part of the 19-nor family of steroids. This steroid is injected every day or every other day with a dosage from 50mg to 200mg per injection. This compound has a half-life of about 6-8 hours. Aggression, night sweats, hair loss, dark colored urine are some of the common side-effects of this steroid. Trenbolone Acetate is a potent steroid with great anabolic activity and is popular for rapid muscle strength and mass. Trenbolone acetate, trenbolone enanthate and trenbolone cyclohexylmethylcarbonate are the derivatives of Trenbolone. Trenbolone Acetate is a powerful anabolic steroid developed as Finaplex pellets to use as a veterinary product. With time, athletes and bodybuilders started using this steroid to boost their physical performance. Keep in mind that this steroid may be acquired with prescription. Trenbolone Acetate was initially developed Finaject in the 1980s and was popular as Finajet, Finapl, Trenbol75 and Agri-Vet. This steroid was given to cattle to enhance their lean mass. This steroid was also available in the form of pellet and was known as Finaplix. These pellets were beneficial to maintain the weight of cattle during transportation. Bodybuilders and athletes also used Finaject and Finaplix to enhance their muscle mass. Fina is also the name of this steroid. Finaject or Finaplix was stacked with Winstrol for better results. The average dosage of this steroid varies from cycle to cycle. During the bulking cycle, bodybuilders and athletes take around 50 mg every alternate day. And some of them take up to 100 mg every alternate day for the best results. During the cutting cycle, it is recommended to take over 100 mg every alternate day. Keep in mind that you should not take use more than 200mg every other day. It is one of the most popular and powerful anabolic steroids available out there. This steroid is not recommended for beginners. It is imperative to have great experience with cycling anabolic steroids to use this steroid. • Trenbolone Acetate has high anabolic effects than other forms of testosterone. • It is imperative to inject this steroid daily for better results but not in excess. • This steroid carries a powerful progestin nature. • This steroid was initially developed as finaplex pellets to utilize as a veterinary product. • This steroid also promotes fat loss. • It is beneficial in the reduction of glucocorticoid hormones also known as stress hormones. Trenbolone Acetate is a versatile anabolic steroid and works well for any purpose i.e. bulking, cutting, lean muscle mass and sheer strength gaining. As Trenbolone doesn’t convert into Estrogen, no water weight must be expected, and a soft bloated look must never occur with Trenbolone. The incredible anabolic strength of Trenbolone Acetate allows for a compound that can factually do anything the user wishes, nutrition and training are properly set.